Padded flip-up armrests, and the reclining back has a locking lever and a tension control knob. 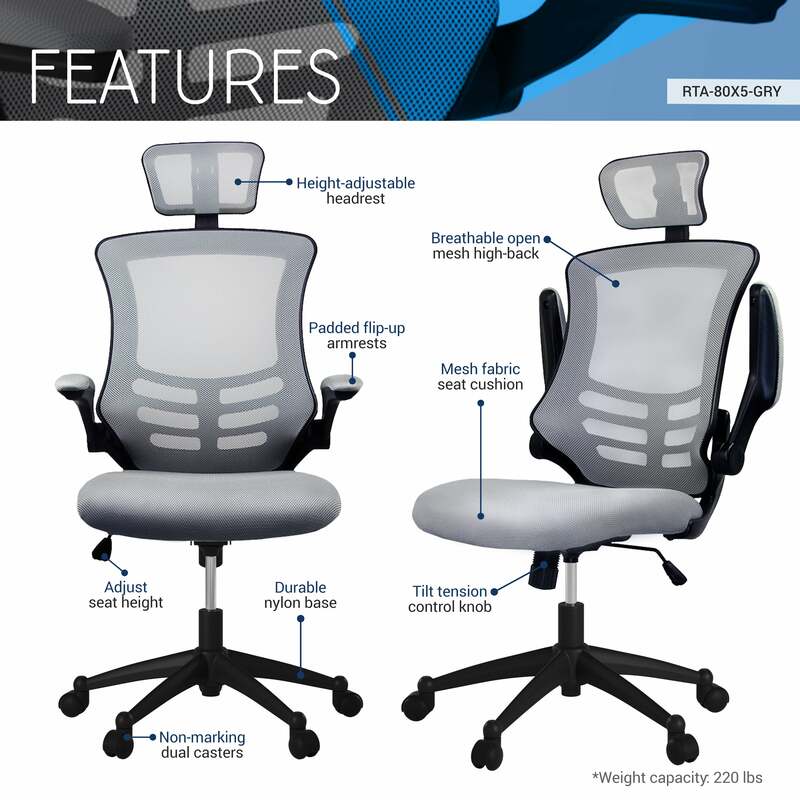 The Techni Mobili Executive High Back Mesh Chairs has a sleek, contemporary design and features breathable open mesh back support, a contoured mesh fabric seat cushion, height-adjustable headrest, padded flip-up armrests. The reclining back has a locking lever and a tension control knob. Includes dual non-marking casters and 5-star heavy-duty nylon base, which provides stable mobility. Can fit people up to 220 Lbs. Ready and easy to assemble. Color: Black & Silver Grey.